The MP alleged that every time there is an election, the BJP government resorts to such tactics. VIJAYAWADA: Income Tax sleuths conducted simultaneous raids on the properties of TDP Rajya Sabha member CM Ramesh at his native Potladurthi village in Yerraguntla mandal of Kadapa district and in Hyderabad on Friday. The raids were carried out at a time when the ruling TDP is raising a hue and cry over the Centre’s alleged vindictive attitude towards the party by using agencies like Income Tax, Enforcement Directorate and others, after it snapped ties with the BJP and pulled out of the NDA government. 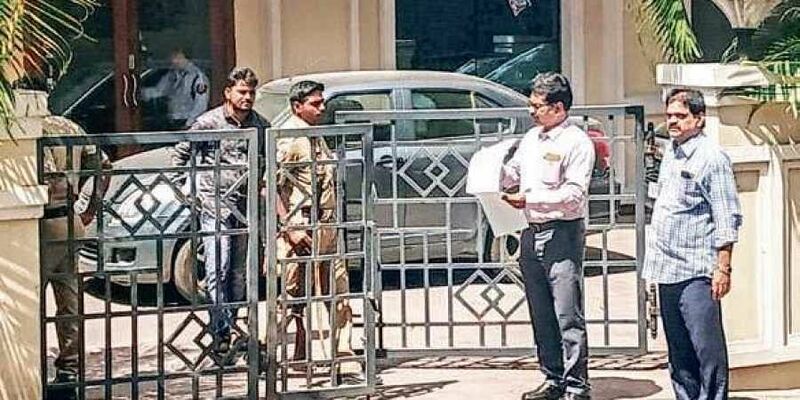 A team of I-T department officials from Tirupati swooped on the house of Ramesh in Potladurthi, while other teams conducted raids on the MP’s residence at Jubilee Hills in Hyderabad and offices of companies owned by him and his relatives, including Rithwik Constructions, around 8 am. The raids were still going on at properties of close relatives of Ramesh at several places, including Delhi, when reports last came in. Ramesh was in New Delhi at the time of I-T raids on his house and other properties. 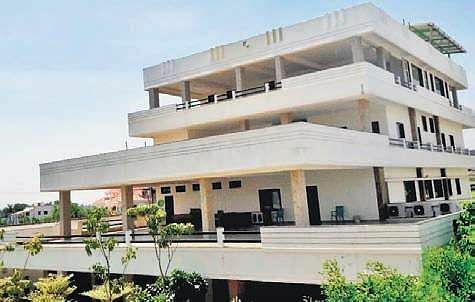 Opposition parties allege that Rithwik Constructions, which was in financial difficulties in 2014, managed to bag contracts worth Rs 3,658 crore on nomination basis from the TDP government. The contracts include Kuppam Branch Canal (Rs 522 cr), Handri Neeva Phase 2 (Rs 1,000 cr), Handri Neeva 34th package (Rs 234 cr), NGSS (Rs 350 cr), Telugu Ganga lining works (Rs 289 cr), Guntakal Branch Canal (Rs 172 cr), Vamsadhara project works (Rs 120 cr), RTCP sixth plant (Rs 400 cr) and Gandikota rehabilitation project (Rs 106 cr). Speaking to media in Delhi, Ramesh said he has been an I-T assessee for the last 30 years and his firms had paid Rs 200 crore as tax in the last four years. “Previously, there were I-T raids on my properties several times, but the raids are different this time as they are politically motivated,” the MP said. Describing the raids as a political vendetta by the BJP-led NDA government, Ramesh said he has nothing to hide and will cooperate with the I-T department. He wanted that the I-T sleuths conducting raids on his properties should be thoroughly checked first as they might plant incriminating evidence against him during searches. He also objected to make Telangana officials as witnesses to the raids. “Anything is possible in the BJP regime,” he claimed. The MP alleged that every time there is an election, the BJP government resorts to such tactics. “It happened in Tamil Nadu, Karnataka and West Bengal and now it is happening in Telangana and Andhra Pradesh,” he pointed out. The TDP leader said the I-T department had targeted him as he has been more vocal against the NDA government with regard to Special Category Status and implementation of other provisions of the AP Reorganisation Act. Ramesh went on indefinite hunger strike in Kadapa a few months ago demanding establishment of steel plant in the district as assured in the AP Reorganisation Act. Meanwhile, TDP leaders described the I-T raids as a conspiracy of the BJP against the TDP for exposing the betrayal of Andhra people by the Centre. IT Minister Nara Lokesh took to Twitter to lash out at the Centre. “The Centre has begun intimidation politics with IT raids on party leaders Mastan Rao garu, Sujana garu and now CM Ramesh garu. TDP leaders are being unduly targeted for raising voice against the Centre for breaking every promise made during bifurcation. We will not be cowed down by this! It will only make our resolve stronger,” he tweeted. BJP. They sported black badges to express their solidarity with the MP. Protests were also staged in Proddatur by his followers denouncing the I-T raids. Ramesh’s brother Suresh Naidu said their family is not afraid of such raids as they have nothing to hide. “The I-T officials could not lay their hands on a single incriminating document. During their stay at the house, the officials read newspapers and watched TV,” he said.